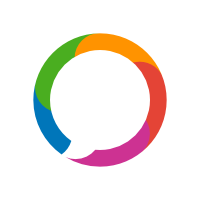 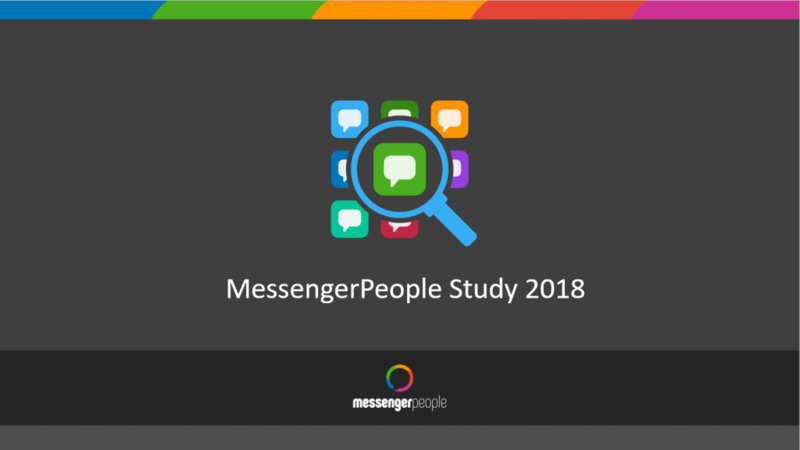 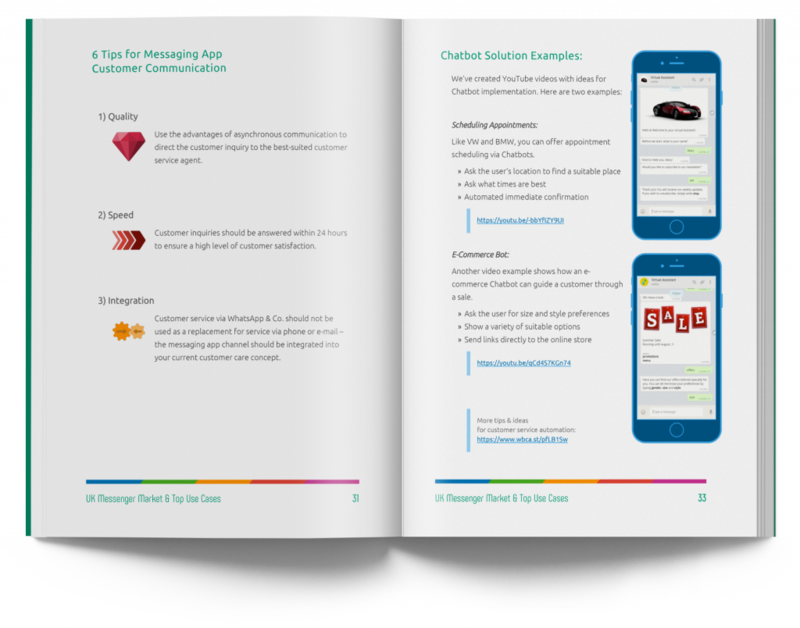 Free Whitepapers and Studies about Messenger Customer Communication, Chatbots und Customer Service. 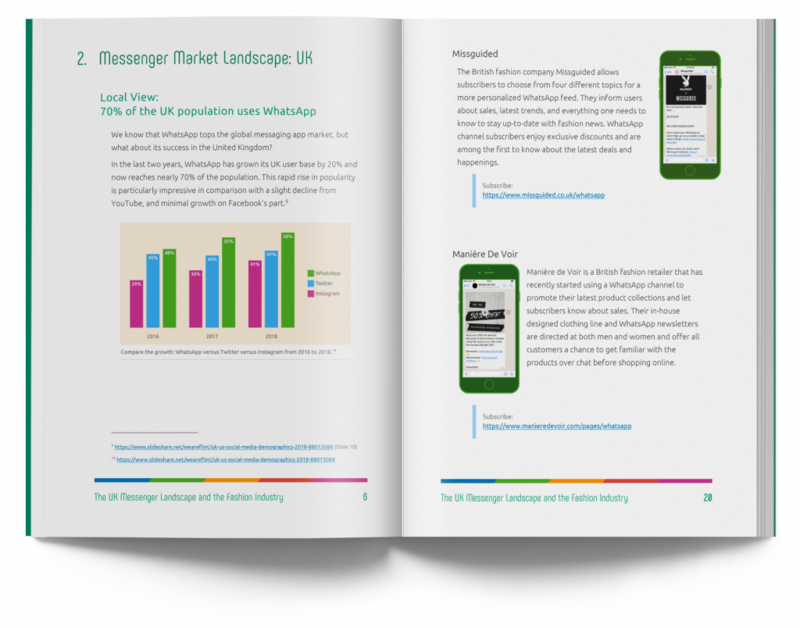 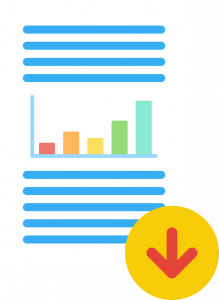 Whatever you want to learn about, from user statistics or Chatbots to best practice and business cases, our Whitepapers have all the details. 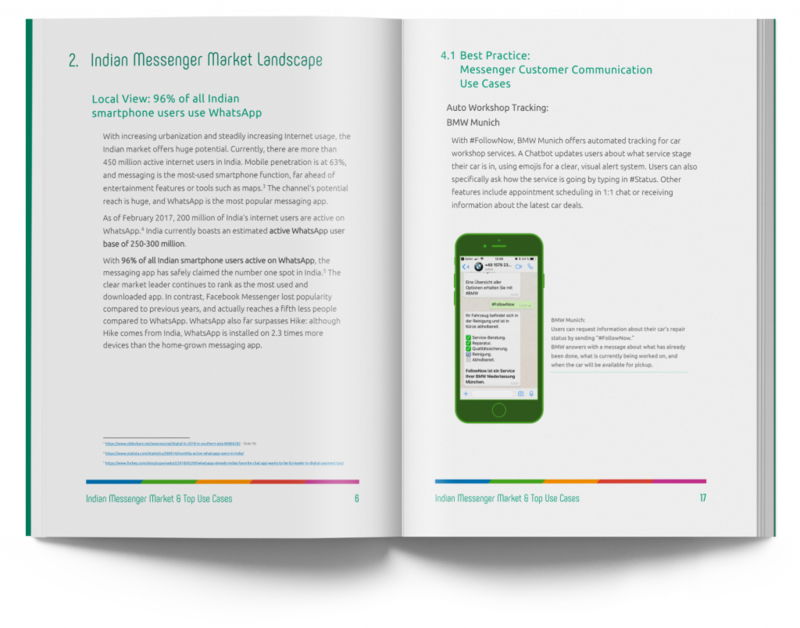 Download now and become an expert about all things WhatsApp Business, Facebook Messenger, Apple Business Chat, & Co.